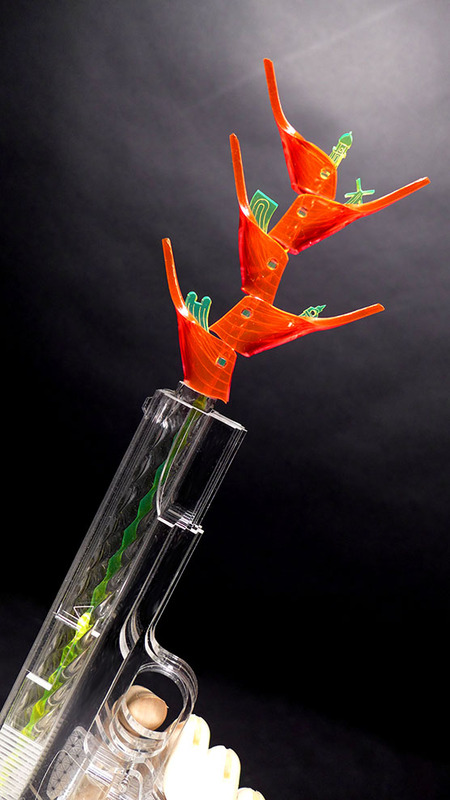 This site is an archive of material charting the continuing work and design research of Karl Singporewala. The catalogues of drawings are continually being updated, offering the user a chance to peruse an imageography of past, present and future projects, drawing styles, exhibitions and discourse. 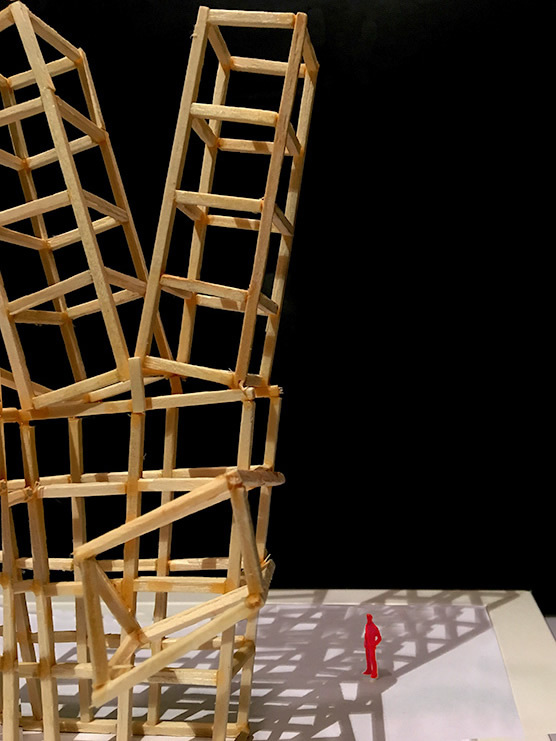 Architects are rarely authors of buildings, as they are ultimately constructed by others. The only thing they can truly command is their drawings. 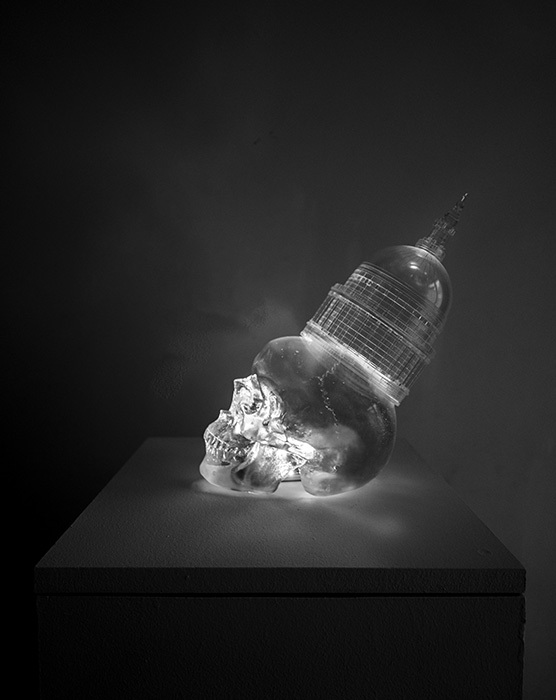 Architecture will be the death of me is a new sculpture made from acrylic and wax. 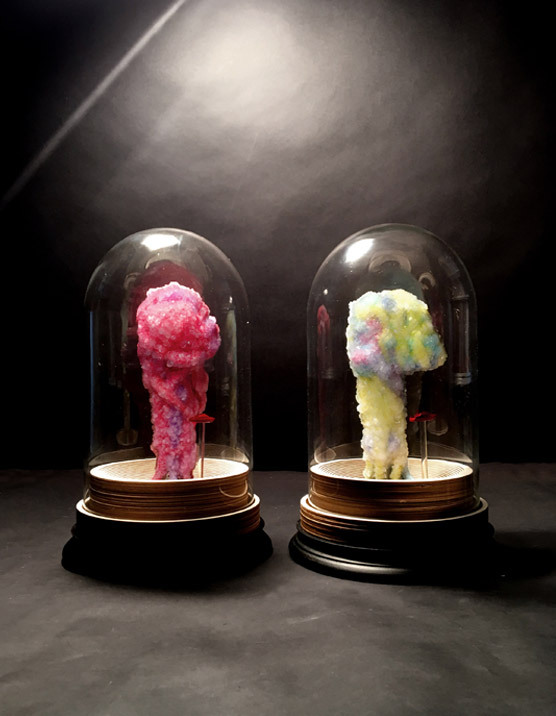 An edition of Postcard from the Edge I and II has been sold at auction for the charity Article 25. 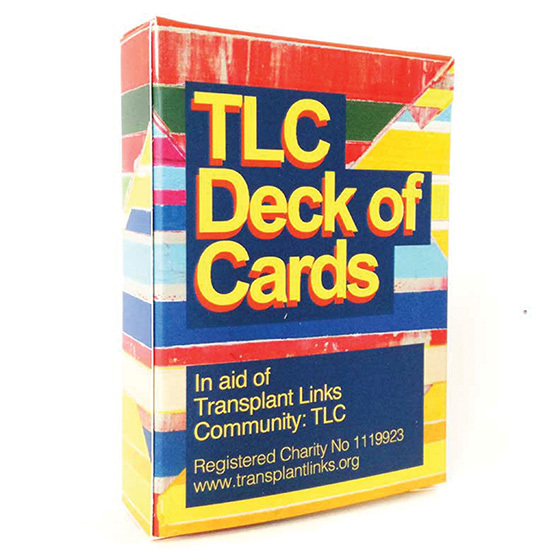 You can now purchase a deck of playing cards featuring all the art works produced for the TLC chairty auction. 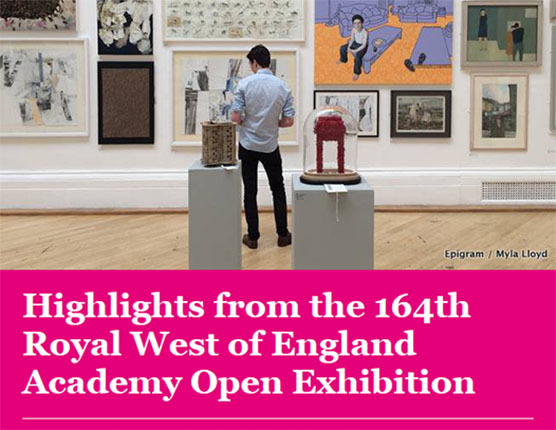 An edition of The Bus Scenario is being exhibited at the Royal West Academy of Art (RWA Bristol) until December 2018. Karl is to design an art work for a charity auction to raise funds for Transplant Links Community. 52 artists and celebrities have been selected each to create a artwork based on a deck of cards. Karl has created the Ace of Diamonds. 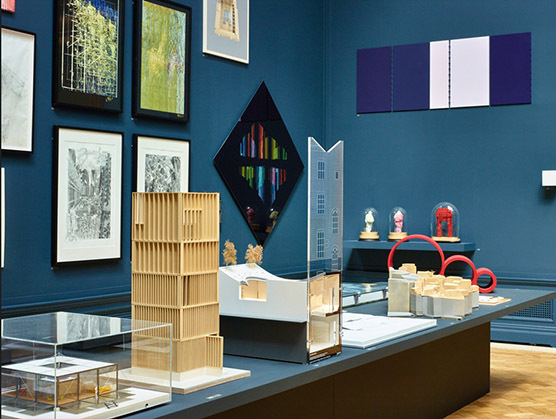 Core and Shell has been exhibited and sold at the The Prince's Trust INTBAU exhibition on London Identity in association with the London Festival of Architecture 2018. All proceeds will go to the charity. The Interpretor has been on display at the Candid Arts Trust in Camden, London in association with the Happenstance Gallery. The Interpretor has been featured on Astragal pages of the Architects Journal thanks to recent speech by Boris Johnson. 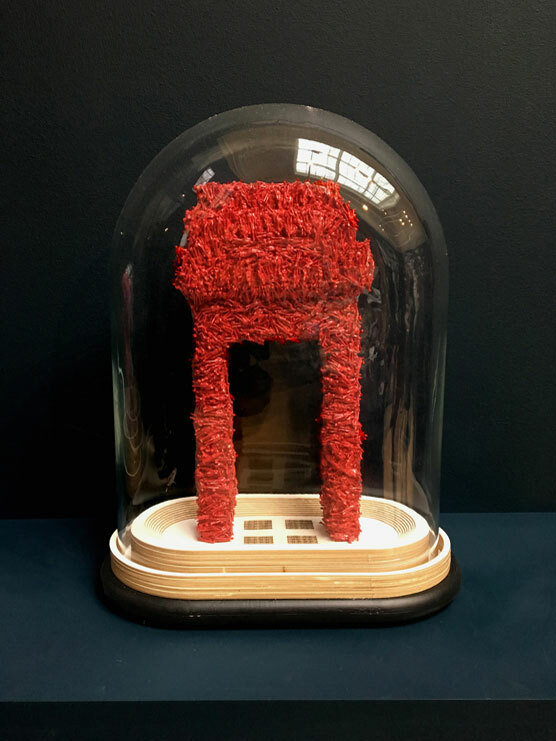 Karl and Anthony Grieveson have been shortlisted for the international Brexit Monument (Memorial) competition organised by the Paris School of Architecture. 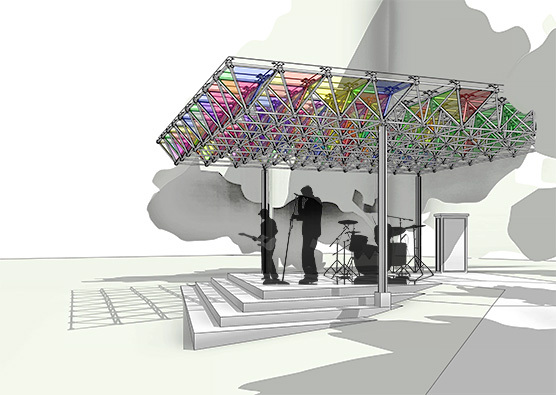 With collaborator Anthony Grieveson, Karl has designed a new canopy for Beckenham Green in Bromley. 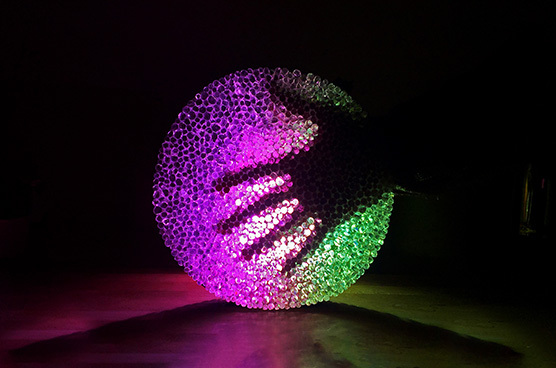 Karl has been helping sculptor Tim Morgan produce an entry for the 2018 Amsterdam Lighting Festival. 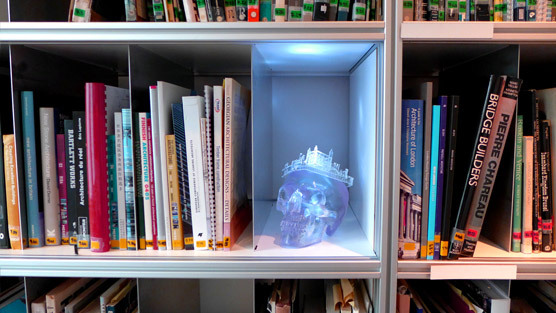 Dissemination uses glass rods and fibre optics to transmit light / shadow / messages from one location to other. For 2017's 10x10 Article 25 charity auction Karl was asked to create an artwork based around the London Olympic site which includes the Queen Elizabeth Park. 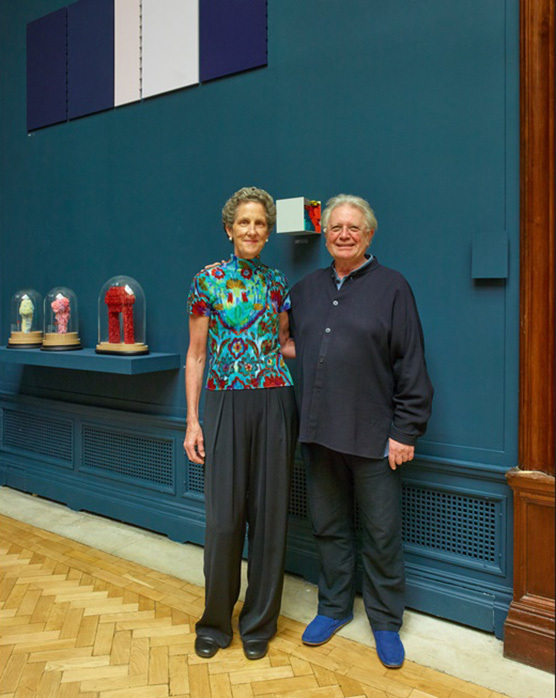 Karl's sculpture, Lilibet's Legacy will be auctioned live following an exhibition at the Royal Institute of British Architects (RIBA) headquarters. The Bus Scenario - a new sculpture by Karl will be for sale at the Camden Image Gallery in London, UK during the month of November. The exhibition will be organised by ArtCan and curated by artist Kate Enters. 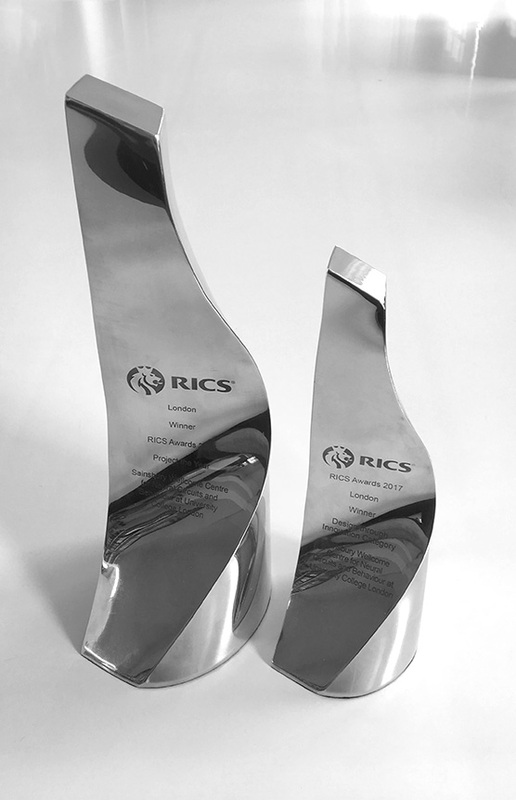 Karl and iRAL are delighted that the Sainsbury Wellcome Centre for Neural Circuits and Behaviour at UCL has been awarded the 2017 RICS Project of the Year Award and is also winner of the RICS Design throught Innovation Award 2017. Karl has co-authored and published his first paper at the IABSE 2017 - Creativity and Collaboration. 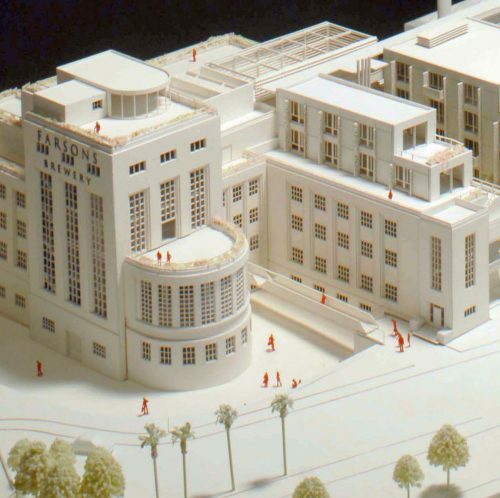 One of the Maltese design projects Karl works on at iRAL - Farsons Business Park and Old Brewhouse will be showcased at MIPIM 2017 in Cannes as part of the UK Department of International Trade Pavilion. 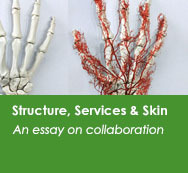 Structure, Services & Skin is a new essay and triptych by Karl on three core building components. For this year's 10x10 Article 25 charity auction Karl was asked to create an artwork based around the area of Brixton, London. 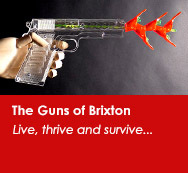 The Guns of Brixton is what he produced. 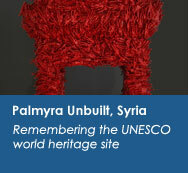 Palmyra Unbuilt, Syria has been selected as a top 10 highlight from this year's RWA exhibition in Bristol. A trio of major wins for Karl's team work at Ian Ritchie Architects, including the BCI Major Project Award for a building over £50m, Also the winner of the 2016 LEAF Façade Design & Engineering Award and the Overall Best Project LEAF award - all for the Sainsbury Wellcome Centre for Neural Circuits and Behaviour at UCL. An edition of Palmyra Unbuilt, Syria will be exhibited at the Royal West Academy, Bristol until the end of November 2016. 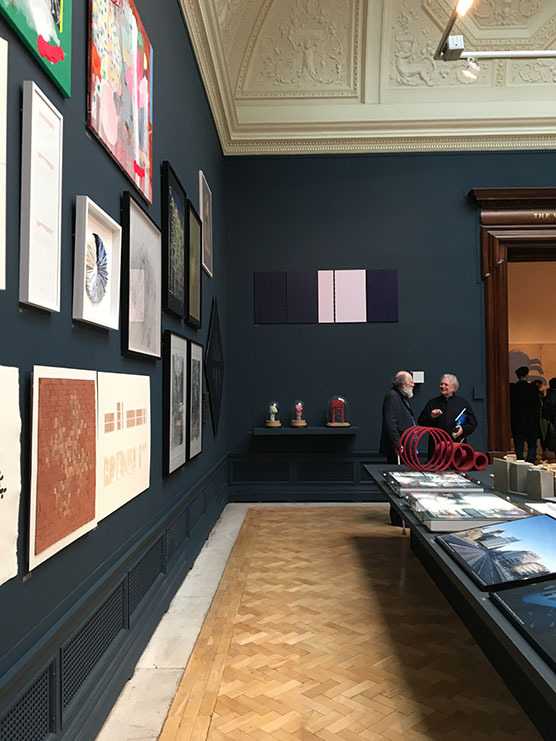 Karl has had two pieces selected for the 2016 Royal Academy of Arts Summer Exhibition: Palmyra Unbuilt, Syria and Devlin's Piers. First images of Palmyra Unbuilt, Syria added to website. 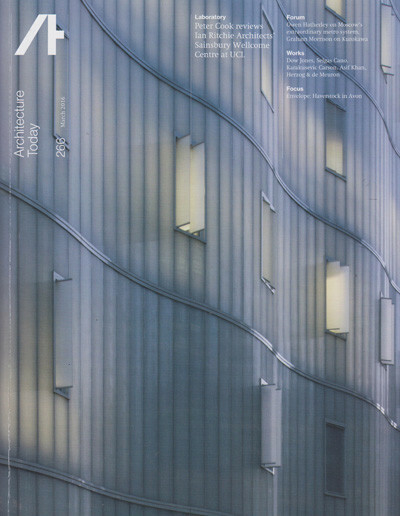 Sainsbury Wellcome Centre for Neural Circuits and Behaviour at UCL just made the front cover of March's issue of Architecture Today. You can read Peter Cook's review of our building here. First images of Devlin's Piers added to website. Huge congratulations to the highest bidder of Till death us do part. Selling for £1,700.00, Article 25 raised a total of £51,000.00 on the night at the RIBA on Portland Place, London. An edition of Postcard from the Edge I and II has been sold at auction for the charity Article 25. 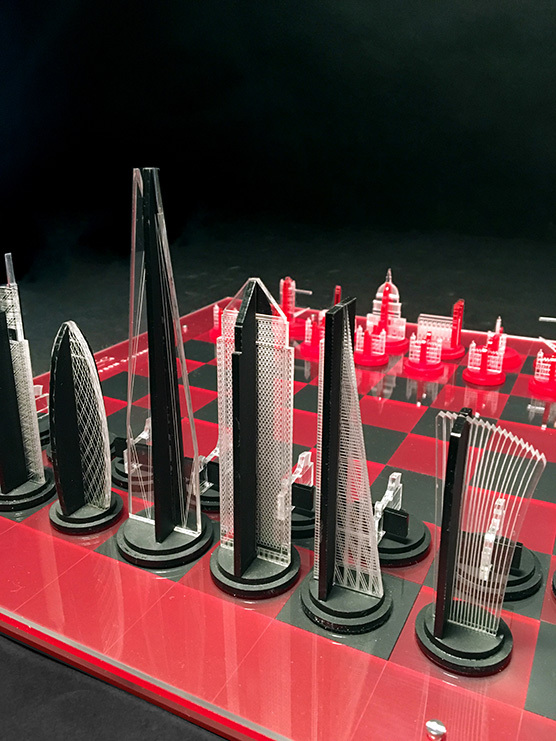 The piece was exhibited and sold at a live auction held at Twenty Two Bishopsgate London. Congratulations to the lucky bidder. You can now purchase a deck of playing cards featuring all the art works produced for the TLC chairty auction. 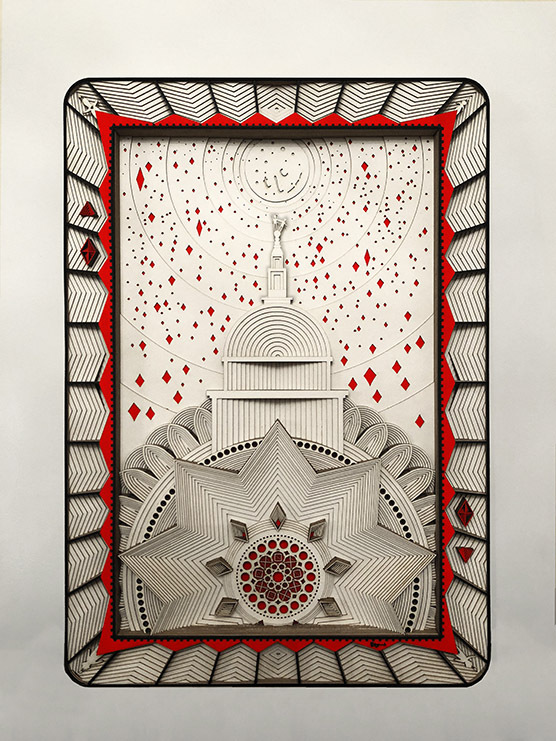 Highlights include Grayson Perry's Joker, Quentin Blake's King of Hearts, Dan Hiller's King of Diamonds, Katie Ponder's Queen of Hearts, Remy Nurse's Seven of Clubs and a painting by Patrick Stewart for the back of every card. An edition of The Bus Scenario is being sold and exhibited at the Royal West Academy of Art (RWA Bristol) until December. 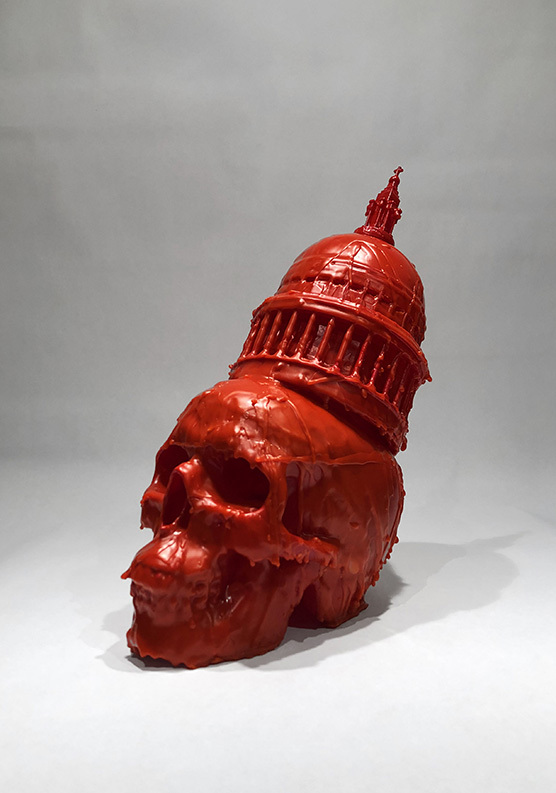 Karl is proud to be exhibiting along side longtime friend and collaborator Jose Garrido. Karl is to design an art work for a charity auction to raise funds for Transplant Links Community. 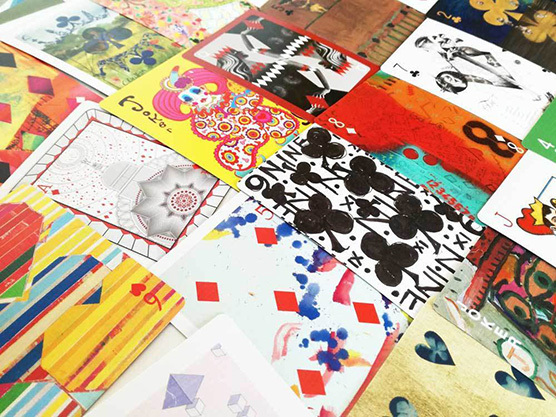 52 artists and celebrities have been selected each to create a artwork based on a deck of cards. To his delight, Karl was given the Ace of Diamonds. 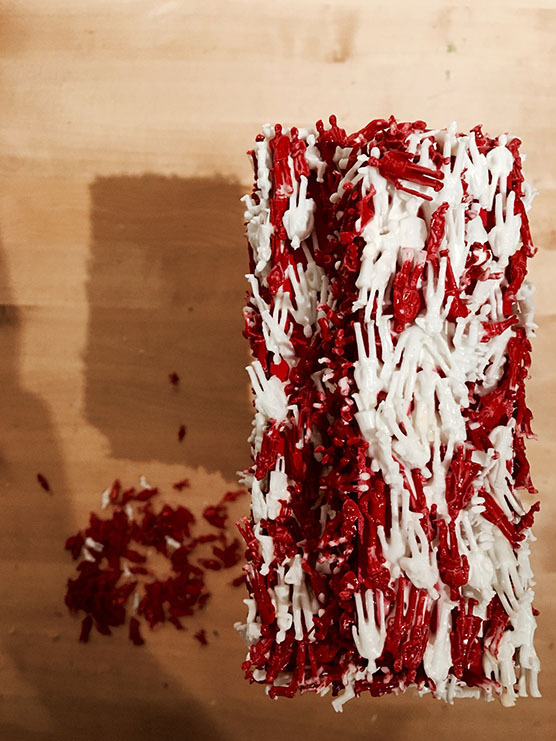 The piece Karl has created will be exhibited at Ewbank's Auction House from 8th - 12th October. The live auction will proceed at 7pm on the 12th October. 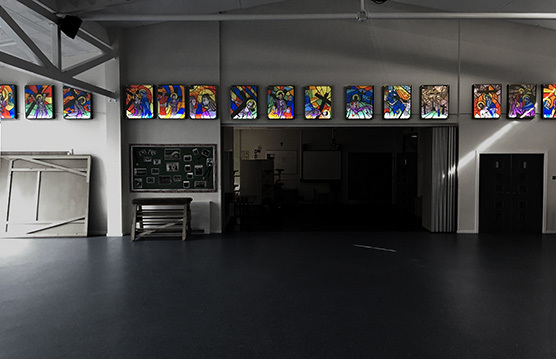 Fifteen art works created by Karl and 300+ pupils at Our Lady Queen of Heaven Primary School in West Sussex to celebrate their 60th anniversary. Click image for more photographs. Karl will be exhibiting four pieces of work at the Saatchi Gallery London until 17th September 2017. 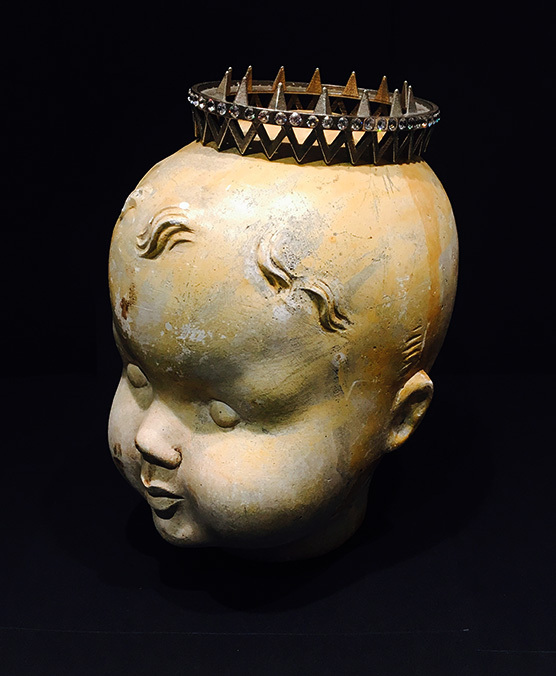 His work will be represented by the Saphira & Ventura Gallery New York and will be hung along side pieces by Keith Haring, Suzi Fadel Nassif and Neil Kerman. Visit Gallery 2 to see his work. Karl and iRAL are delighted that the Sainsbury Wellcome Centre for Neural Circuits and Behaviour at UCL has been awarded the 2017 RICS Project of the Year (London) Winner and is also winner of the RICS Design throught Innovation Award 2017. The judges described the Sainsbury Wellcome Centre for Neural Circuits and Behaviour as highly rational, very efficient and beautifully detailed. The judges expressed the design to be highly adaptable, but also attractive to the world’s leading scientists to come and work there. They also said that the laboratories are a unique combination of facilities, for theoretical and experimental scientists to work collaboratively, and are the result of intensive research. 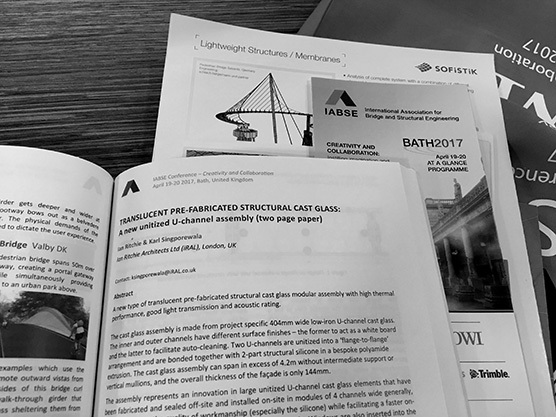 Karl has co-authored and published his first paper at the IABSE 2017 Conference in Bath. Based around 'Creativity and Collaboration'. 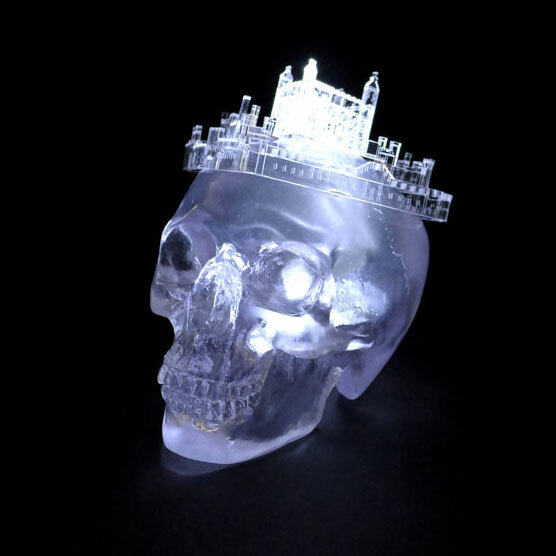 Titled - Translucent Pre-fabricated Structural Cast Glass: A new unitised U-channel assembly, he will present at the IABSE Conference 19-20th April which is focused upon instilling imagination and innovation in structural design. He will describe a new type of structural cast glass assembly with high thermal performance, good light transmission and acoustic rating that forms a large part of the Sainsbury Wellcome Centre facades. The assembly represents an innovation in large unitized U-channel cast glass elements that have been fabricated and sealed off-site and installed on site in modules. The listed Maltese Brewery project Karl leads on at iRAL - Farsons Business Park and Old Brewhouse will be showcased at MIPIM 2017 in Cannes as part of the UK Department of International Trade Pavilion. 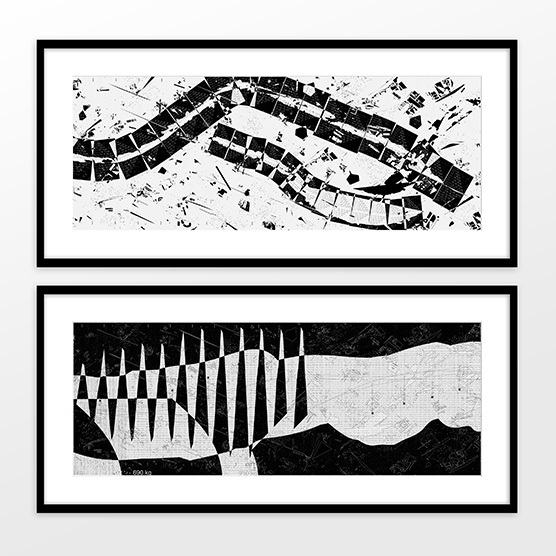 For this year's 10x10 Article 25 charity auction Karl was asked to create an artwork based around the area of Brixton, London.The Guns of Brixton is what he produced. 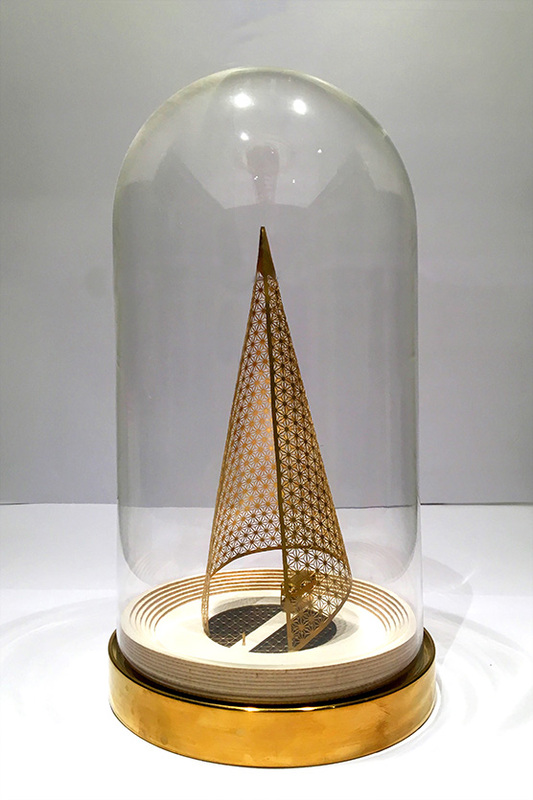 The piece will be auctioned on Tuesday 29th November during an exhibition at the Royal Institute of British Architects (RIBA HQ) Portland Place, London. 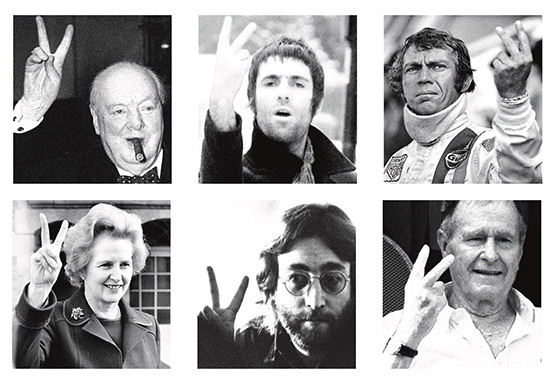 To date, Karl's art work has raised over £10,000 for the chairty. Other artists raising money for Article 25 this year include: Anthony Gormley, Rafael Viñoly, Eric Parry, Ed Cullinan, Wolfgang Buttress, Norman Ackroyd, Ian Ritchie and many others. Palmyra Unbuilt, Syria has been selected as a top 10 highlight from this year's RWA exhibition in Bristol. To read the full article at Epigram, click the image below. 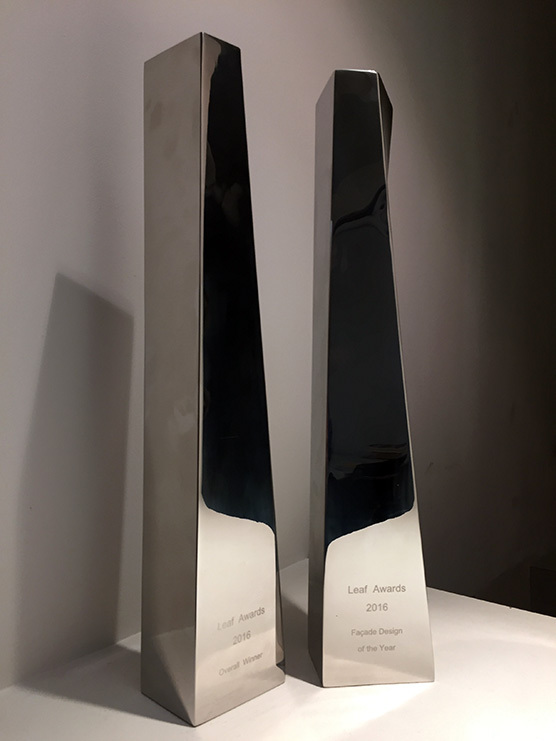 Karl and iRAL are delighted that the Sainsbury Wellcome Centre for Neural Circuits and Behaviour at UCL is the 2016 Overall Winner of the Leading European Architecture Forum (LEAF) Awards and also winner of the LEAF Façade Design & Engineering Award. 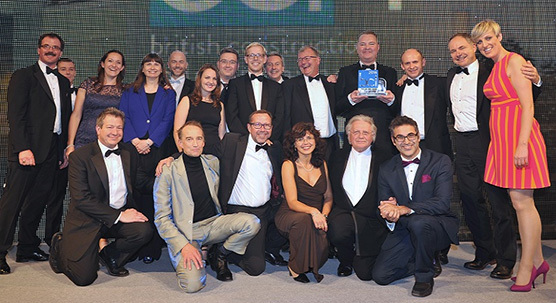 The Sainsbury Wellcome Centre for Neural Circuits and Behaviour at UCL has won the major construction prize at this year's British Construction Industry (BCI) Awards. Karl and the iRAL team is proud to celebrate the 2016 BCI Major Building of the Year Award (over £50m) with all those involved. A great team effort. Palmyra Unbuilt, Syria and Devlin's Piers. One of Karl's current projects at Ian Ritchie Architects is the masterplan for the Old Royal Naval College in Greenwich. It's a UNESCO World Heritage Site in London. 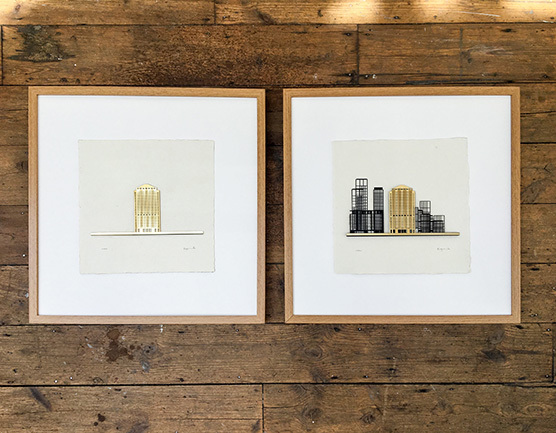 Working on site and falling in love with the buildings by Wren and Hawksmoor got him thinking about all the UNESCO world heritage sites he has not yet visited in the world. "one day I would love to see them all"
Sadly, one such UNESCO site in Syria was largely destroyed during the current civil war; 2000 years of history just swept away. "It's another one of those occasions where I struggle to vocalise how it makes me feel... so I made something"
First shots of Devlin's Piers added to catalogue. More information soon. Huge congratulations to the highest bidder of Till death us do part. Selling for £1,700.00, Article 25 raised a total of £51,000.00 on the night at the RIBA on Portland Place, London. The money raised at 10x10 London 2015 will support Article 25’s healthcare building projects in the developing world. For this year's 10x10 Article 25 charity auction Karl was asked to create an artwork based around the Tower of London. 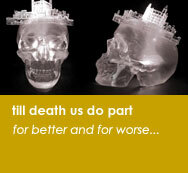 Till death us do part is what he produced. 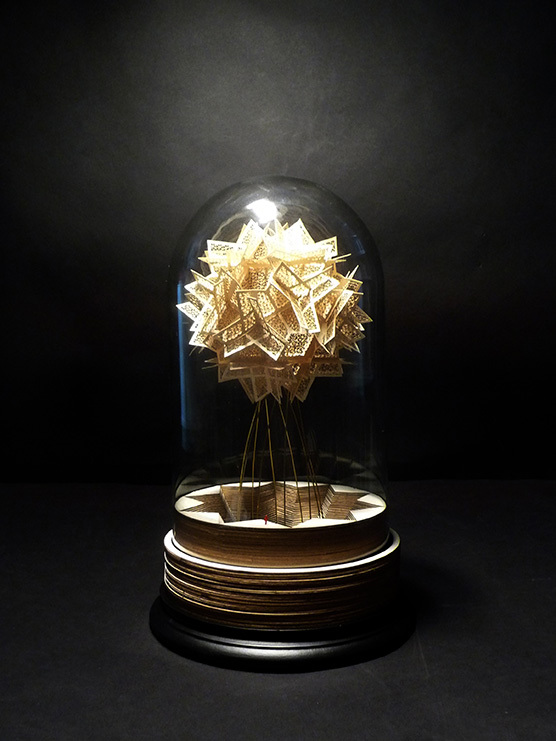 The piece will be auctioned on Tuesday 1st December during an exhibition at the Royal Institute of British Architects (RIBA HQ) Portland Place, London. 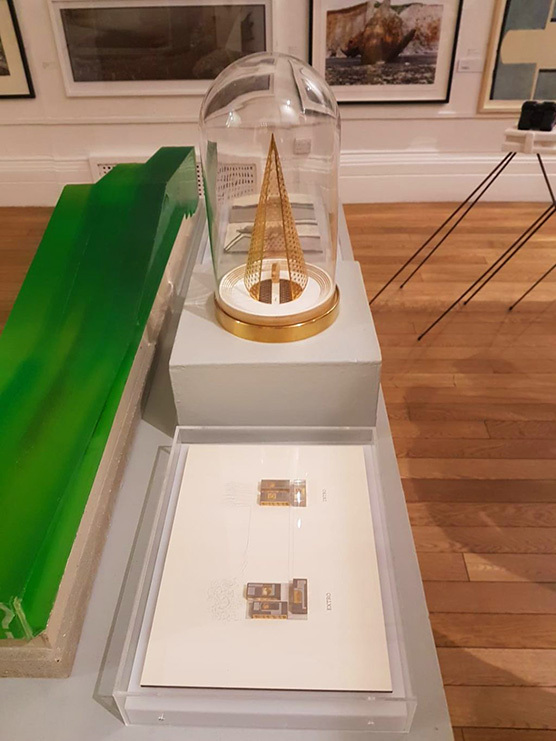 Other artists raising money for Article 25 include: Anthony Gormley, Rafael Viñoly, Eric Parry, Ed Cullinan, Wolfgang Buttress, Norman Ackroyd, Ian Ritchie and many others.